If I came back from the dead, I’d probably be cranky and hurling expletives too. I hope they didn’t bury you in that clown costume, jackass. 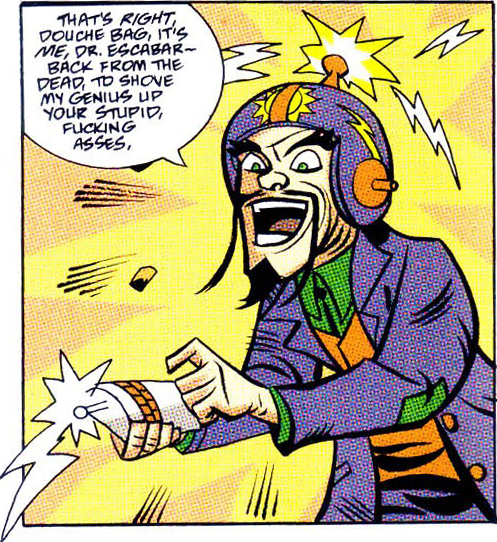 This bleep-worthy moment comes to you courtesy of Powers #27 (January 2002) by Brian Michael Bendis and Mike Avon Oeming. Superheroes have groupies? Who’d have thought? 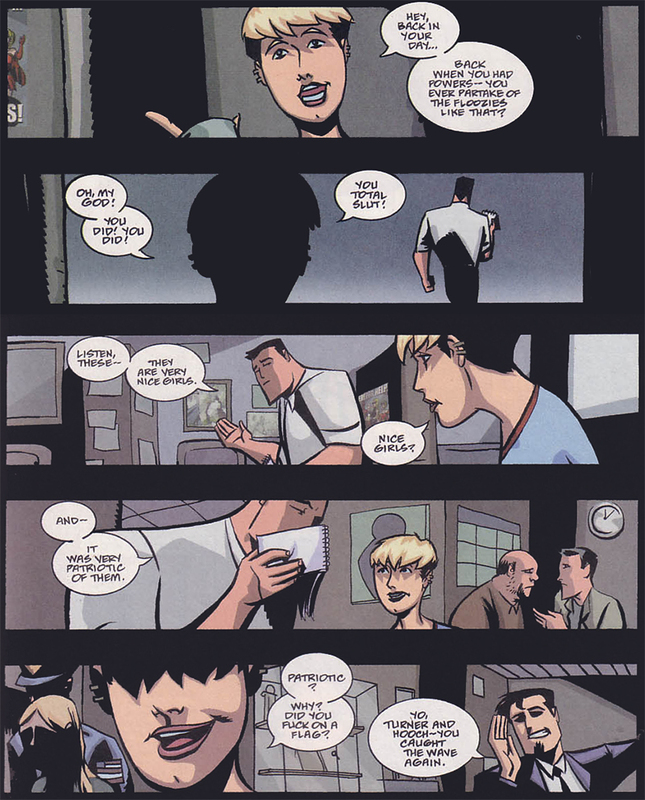 Today’s too much information moment has been brought to you by Powers #12 (June 2001) by Brian Michael Bendis and Mike Avon Oeming.